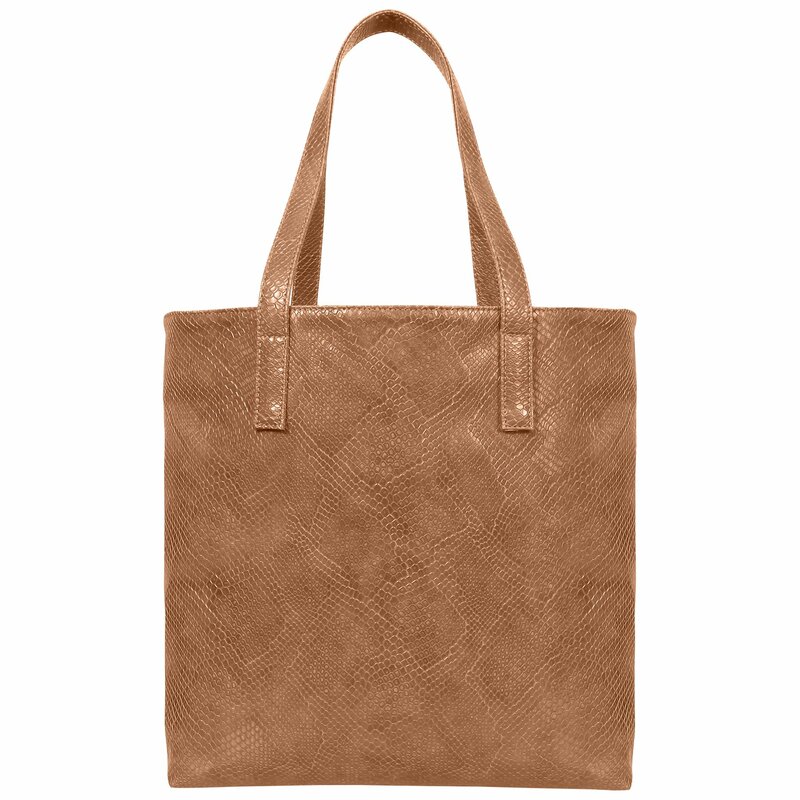 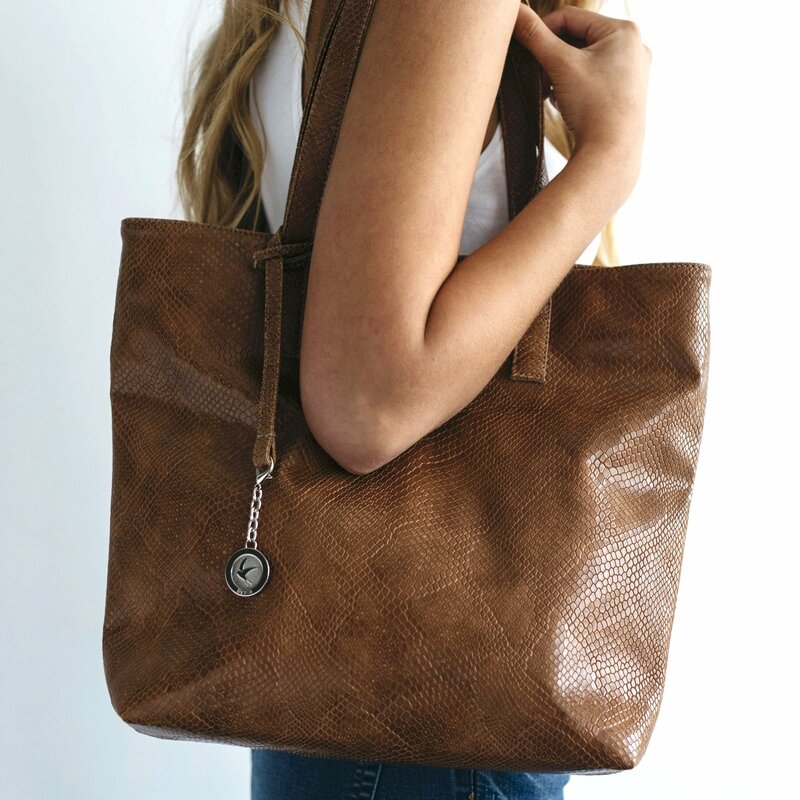 The Svala Simma Tote In Brown Vegan Leather fits everything you need inside! 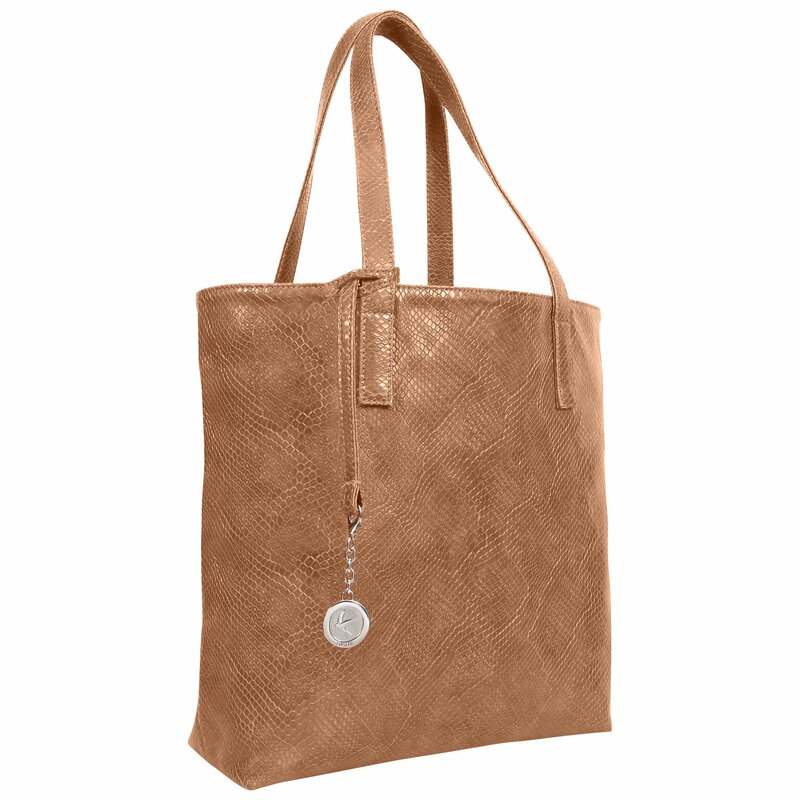 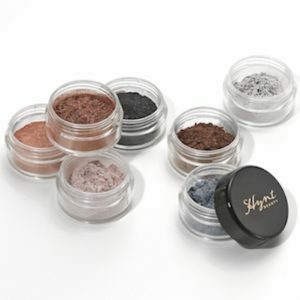 Embossed to resemble snakeskin, it can take you from work to the weekend. 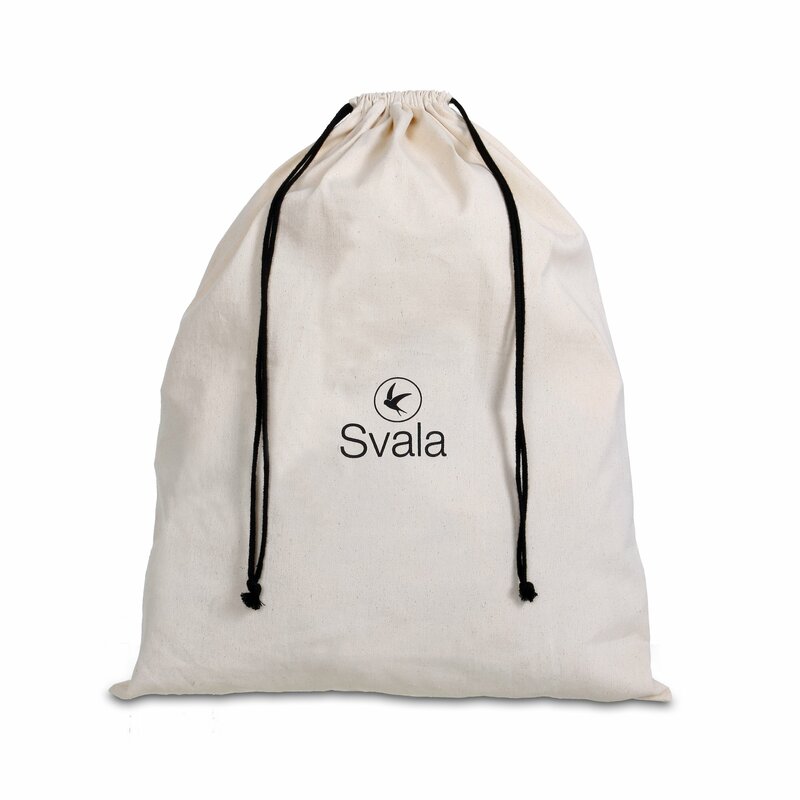 This lightweight bag is large enough to hold your daily essentials, including a 13” Macbook. 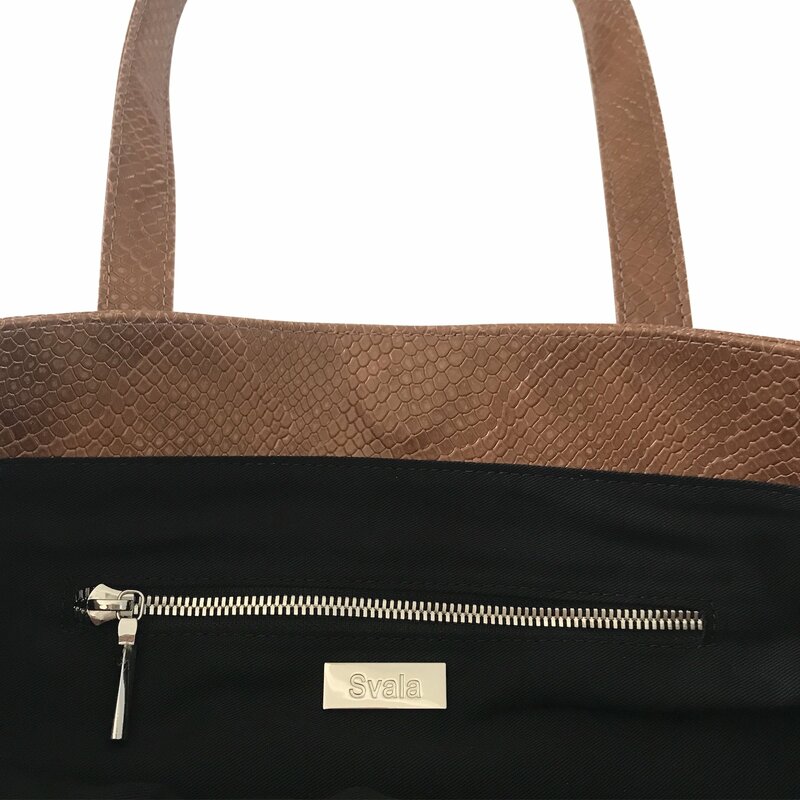 Be the first to review “Svala Simma Tote In Brown Vegan Leather” Click here to cancel reply.